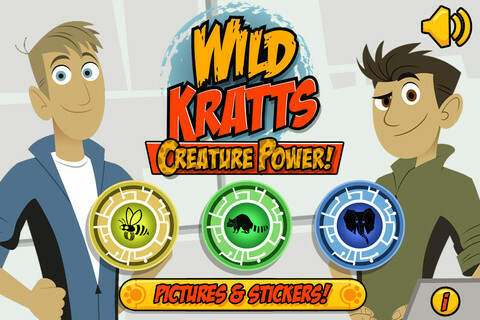 Wild Kratts Creature Power harnesses all of that animal energy and ball it up into an informative and action-packed app. Developed by the Kratt brothers – the resident nature experts of the PBS channel – this game combines fun facts and easy game play to help teach your little animals all about the natural world around us. There are three different levels played from the vantage points of as many members of the animal kingdom. 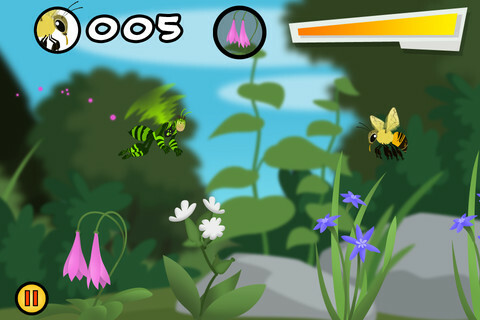 The bee level instructed us on how to fly from flower to flower, pollinating as we go and increasing the flora around us. As an elephant we learned how we can keep our ginormous (yes, that’s a word) bodies cool and clean in the African savannah. Finally, the kids pulled a little bit of a role reversal as a mom raccoon feeding and caring for her babies. As we played each level together the Kratt brothers’ narration supplied us with copious creature clues. 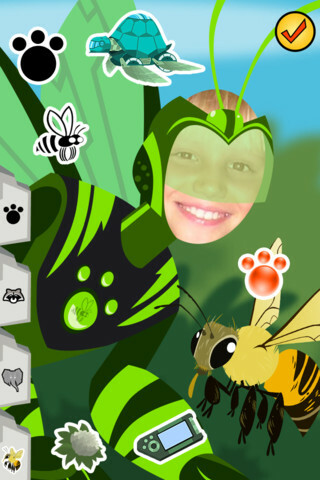 We also learned stickers and had a good laugh at the pictures we took that put our heads on a Creature Power Suit. Both kids had a blast playing the game and spoken narration helped my non-readers to understand the basic directions of game play. The biggest disappointment was playing this as an iPhone app on the iPad. Currently there isn’t an available version for the iPad, which means the picture is grainy when enlarged to fit the device’s screen. For $1.99 I would expect that the app would be universal across the different Apple technology. The game is really fun though, and jam-packed with some really interesting info on the natural world around us. And I’m not talking about your kids.